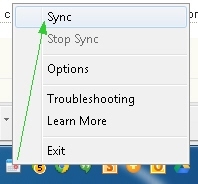 By using this method you can set up one way syncing from Google Calendar to Outlook. Outlook will periodically check the Google Calendar for updates, and if any new or modified events are found, they will be downloaded and displayed alongside with your Outlook appointments. 2. Hover over the needed calendar in the calendar list at the left-hand part of the screen, click the drop-down arrow that appears to the right of the calendar name, and then click Calendar settings. 3. 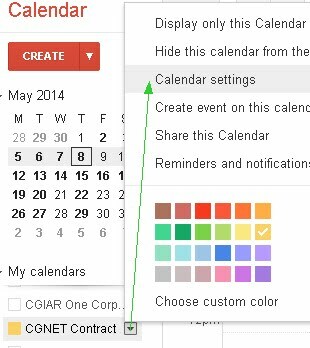 If your google calendar is public, then click the green ICAL icon next to Calendar Address. If it is private, click the ICAL button next to the calendar’s Private Address. 5. 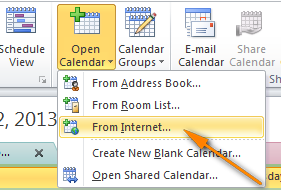 Open your Outlook and click Open Calendar button and choose “From Internet…” from the drop down list. 6. Paste your Google calendar’s URL and click OK. This will display the Google Calendar alongside your Outlook calendar. Note! Remember that the Google Calendar imported in this way is read-only, the lock icon is displayed in the lower right hand corner of all imported Google Calendar’s events, meaning they are locked for editing. Changes made in Outlook are not synced with your Google Calendar. Repeat these steps for any other Google Calendar you want to sync with your Outlook. -Step 1. Download and install Google Apps Sync for Outlook: https://tools.google.com/dlpage/gappssync. a. Click on Run when asked if you want to run the file and wait while the plug-in downloads and installs. The screen on the left will appear. e. Using this 1-way method, Outlook will periodically check the Google Calendar for updates, and if any new or modified events are found, they will be downloaded and displayed alongside with your Outlook appointments, but note the following: this will start synchronizing the events from your personal username@cgxchange.org calendar to your personal @cgiar.org calendar, but will not synchronize your team calendar(s), so the solution to ensure that your key team calendar events are visible in your Outlook is to copy the events to your personal cgxchange google calendar. c. Click on 'copy to my calendar'. This action will copy the event you choose to your personal calendar, and will automatically sync in outlook when the sync tool you installed in Step 1 runs (depending on the frequency you've set in the Google Sync for Outlook tool). Finally, the steps outlined in this tutorial would have to repeated individually be each team member. The good thing about this ,ethod is that you can select the events you want to synchronize from all your various Google calendars.